This new book, (The second volume of his work to be published), brings together 100 of his latest paintings in a superbly colourful and informative book. Subjects range from the FE2b and Fokker EIII right through to the F-15s and F-16s of today. 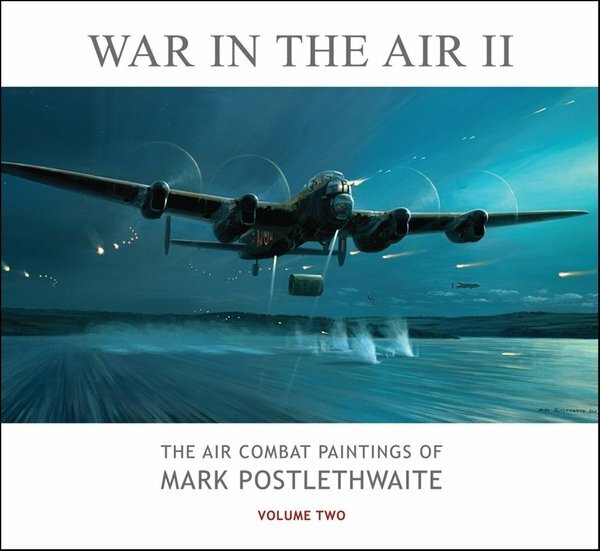 The large format, 290mm x 270mm (approx 12″ x 11″) means that all the paintings can be reproduced to the highest quality, making it a must-have for any aviation art fan. A veteran-signed limited edition of 100 copies $125.